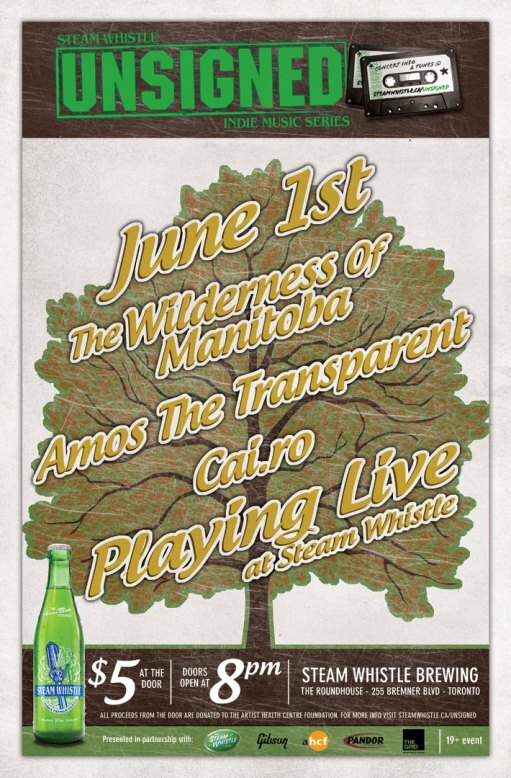 The latest edition of the Steam Whistle Unsigned series has been announced. The next show will take place on June 1st at the Roundhouse. That shapes up to be one of the strongest line-ups to date. Tickets are $5 at the door, and as always, proceeds go to support the Artist Health Centre Foundation.